If you were watching the Super Bowl on Feb. 3, then there’s a good chance you probably caught the teaser for Hulu’s upcoming season of The Handmaid’s Tale. But there was one important detail missing from that high-profile spot: a premiere date. So, when will The Handmaid’s Tale season three premiere? We finally have the answer. As reported by The Hollywood Reporter on Monday, The Handmaid’s Tale season three will premiere on June 5. Luckily, fans will be rewarded for patiently waiting for the third season to come out because THR also reports three episodes will premiere on that day instead of the usual one. The premiere date was confirmed during the Television Critics Association press tour on Monday. 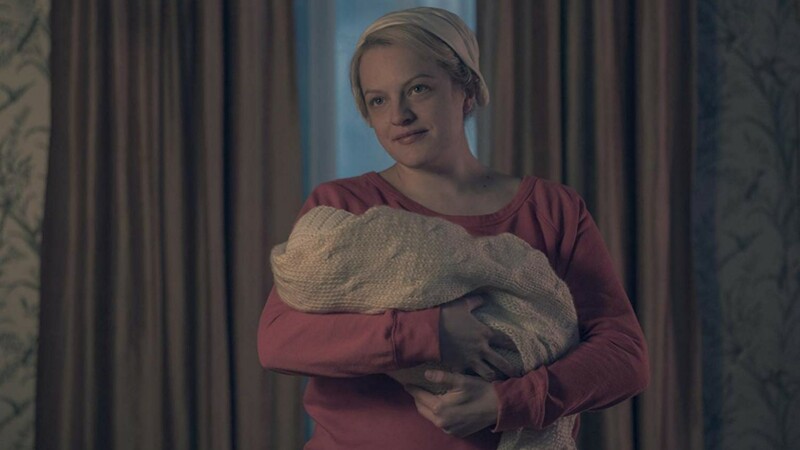 The Handmaid’s Tale‘s last two seasons premiered in April. The late premiere puts The Handmaid’s Tale in an interesting spot not only in the sense that it will be setting the tone for summer television but also when it comes to the 2019 Emmys, an award show the series has done very well at in years past. The Emmys’ window of eligibility for the 2019 award show ends on June 1, which means season three’s episodes will not be considered for an award this year. As THR points out, however, some of season two’s episodes aired within the 2019 Emmys eligibility window, so they could go up for more individual categories, like directing, although the entire season won’t be considered either. If the Super Bowl spot is any indication, then season three is going to be a real doozy. It looks like we’ll have an even more expansive look at Gilead, with shots of an imposing cross looking down on a legion of handmaids in what appears to be Washington, D.C., being the most impressive and fear-inducing shot from the short trailer. But we also know that this season will focus on June tearing down Gilead from within, having chosen to stay behind while Emily escaped with June’s baby. It’s shaping up to be another intense season, but thankfully we’ll have until June to mentally prepare for what lies ahead for us on The Handmaid’s Tale.